Antarctica current: After the Great Hoax, What’s Next for Szwed? 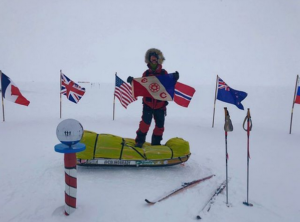 (Sjogren/Coetzer) With the 2015-16 Antarctic games starting, we revisited German Martin Szwed. 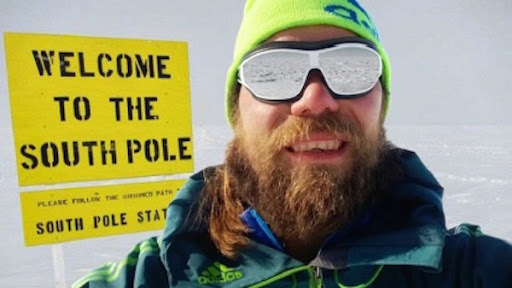 The past skiing season had its usual share of half-truths and part-lies but this explorer took the cake when he claimed to have skied to the South Pole in record speed. Called out by the actual record-holder whose accomplishment he claimed, the hoax began to unravel. At one point, Szwed threatened Explorersweb over copyright for the fraudulent pictures presented by himself as proof of his alleged record. Instead, it turned out that the pictures were not Martin’s in the first place, except for the added artistic value of his face being forged into them. 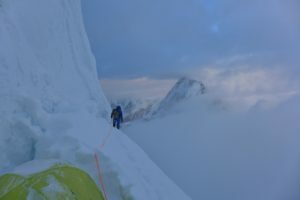 The nerve of the hoax was comparable only to the likes of Christian Stangl hiding behind a rock in K2 BC or the Swedish women photoshopping themselves into pictures on Shishapangma. 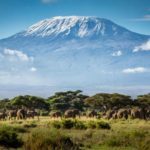 The permit-issuing office would investigate and make a statement, “in a few weeks”, which never materialized and emails by Explorersweb to the officials as late as last month have been left unanswered. So what’s Szwed up to these days? 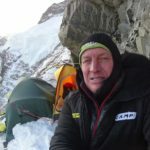 According to his Facebook, he plans to attempt Everest. In 2016, from the North Side, judging by his cover photo. False claims have been a recurring problem and in the future cheating in sports and adventure may get more serious consequences. Fraudulent statements carry a financial loss on sponsors and other athletes; also this spring a court fined Lance Armstrong for lying about his accomplishments.